Cam is a co-owner of Steamboat Sotheby’s International Realty, offering over 30 years of experience in all aspects of Steamboat Springs' real estate. His team of highly specialized professionals includes a Buyer’s Agent, Bruce Carta, a Transactions Manager, Caroleah Patterson, a Digital Advertising Specialist, Josh Cook, and a Marketing Coordinator, Melissa Valrey. Working on a team ensures that each client's needs are attended to whether it’s showing property, advertising your property, or discussing paperwork and negotiations. In addition to giving you personalized attention, The Boyd Team will familiarize you with real estate trends in our market. • Prudential’s Legend Award: awarded to agents placing in the top 1% for five consecutive years. • Career sales of over $600 million and over 950 transactions. Over the past 30 years, I have established a strong network in the community. I continue to draw on this referral base for local buyers and vacationers looking to relocate or purchase a second home. We are on the cutting edge of technology and I market my listings on dozens of websites including a personal website: www.SteamboatAgent.com. I value my reputation as one of the top Realtors in Steamboat Springs and am committed to total customer satisfaction. industry knowledge and attention to details aligns with The Boyd Team’s commitment to provide unmatched service and professionalism to our clients. Estate market’s ups and downs. 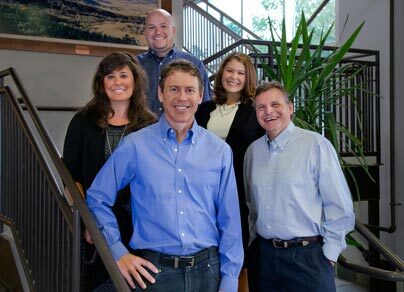 After relocating to Steamboat Springs in 1996 his career has included working in the marketing of the Steamboat Ski Area, selling vacation ownership at Trendwest Resorts, and providing specialized Real Estate Marketing reports while working for a local title company. your property on all of Sotheby’s affiliate websites, creating brochures, mass mailings, and updating any new photos or changes you make to your property. She also works weekly with the Marketing Department at Steamboat Sotheby’s to create print advertisements published in Homes and Land Magazine, Steamboat Magazine, Homefinder, and the Steamboat Pilot and Today. Publishing Inc., The Callaghan Agency, World West LLC, and Tiffany & Co. He continues to strive to make The Boyd Team’s internet presence as expansive as possible by enhancing each listing’s presence.